Quick Transfer’s story began in 1959 with the founding of a small household moving company in Winnipeg, Manitoba. Herb Mueller, a recent immigrant to Canada, gathered all his resources and used $300 to acquire three small stake trucks. With a new opportunity in a new country, he prided himself on hard work, diligence, honesty and integrity. With this foundation, Quick Transfer quickly grew into one of the largest moving companies Winnipeg has to offer, distinguished by multiple awards and industry recognition. In 1983, Ralph Mueller, eldest son of Herb, made the decision to join the family moving company as his lifelong vocation. Guided by the principles learned from his father, Ralph assumed responsibility of the now growing family business. Under his direction, Quick Transfer Moving & Storage has taken an ambitious line at expansion and diversification while holding to the values on which the company was founded. Quick Transfer has expanded into specialized freight, export packaging, overseas container loading, and mobile self-storage while adding new moving locations and moving companies to the mix. We continue to focus on growth and expansion with our reach and capabilities now spanning across North America and the world. We continue to focus on growth and expansion with our reach and capabilities now spanning across North America and the world. Get a quote from Quick Transfer today! 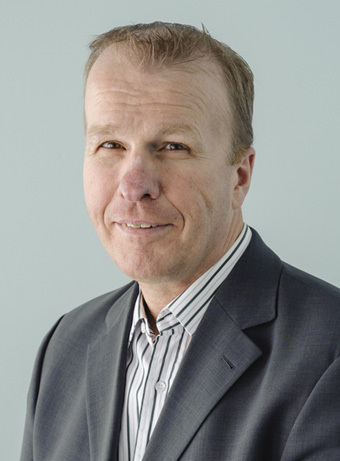 Ralph Mueller is a well-known and respected Winnipeg entrepreneur, who serves as President and CEO of the Quick Transfer and its divisions. Under his direction, this once small family business has grown into the largest integrated moving services company in Manitoba, with new divisions in specialized freight, export packaging, and mobile self-storage. Ralph was raised working at the fledgling moving company, where his father instilled in him the principles and values that would form the basis for his leadership philosophy today. Education was obtained at the University of Manitoba before taking over at the helm of the business in 1983 at the age of twenty-two. Ralph is involved in several professional organizations including World Entrepreneur’s Organization and Young Entrepreneur’s Organization where he previously served as Board Member and President respectively. He has also served on the Boards for the Canadian Association of Movers, and United Van Lines. As an avid reader and scholar, Ralph’s breadth of knowledge, experience and genuine care for people make him oft sought by organizations to speak and train in the areas of servant selling, managerial leadership and corporate ethics. These are simple statements but they carry profound impacts for our company and our customers. Would you continue to stand for this value 100 years in the future? Would you be willing to fire an employee that repeatedly breached this value? Would you continue to hold this value if there were no reward for doing so? Would you continue to hold this value if it became a competitive disadvantage?